BRUGGE, Belgium (VN) — When does a love affair with the Ronde van Vlaanderen become an obsession? When you’re a Flandrien cycling superstar born and bred on the cobbles, there is a very thin line between the two. Greg Van Avermaet (CCC Team) has been straddling that divide ever since he turned pro in 2006. After 12 starts at the biggest race in Flanders, Van Avermaet is still chasing the dream. With three podium results in the past five editions, Van Avermaet doesn’t want to consider a future without winning Flanders at least once. 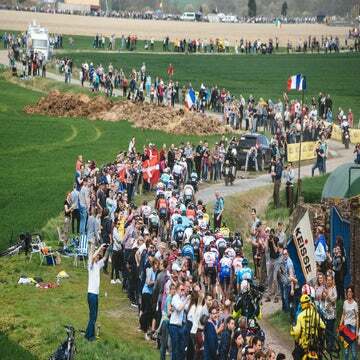 At 33, he’s taken his fair share of glory, including Paris-Roubaix and the Olympic gold medal along with stints in the yellow jersey at the Tour de France. Yet ask “Golden Greg” which race he wants to win most and the answer hasn’t changed since he saw the race as a little kid. Van Avermaet is at the peak of his powers as he lines up Sunday. Though a big win has eluded him so far in the classics season, he’s been one of the most powerful. Big accelerations in last week’s E3 BinckBank Classic put him among the front-line favorites on Sunday. A big question mark for Van Avermaet is the depth and strength of his new CCC Team. Up to now, CCC has not been as consistent as Van Avermaet would have liked. That could be troublesome if pre-race favorites Deceuninck-Quick-Step make the race difficult for its rivals. Following a sub-par performance in last weekend’s Gent-Wevelgem, team directors and staffers sat down with the riders to lay down the law going into Sunday’s big race. The message was clear: It’s time to step up. CCC Team was largely built around Van Avermaet when BMC Racing and CCC merged. Swiss veteran Michael Schar is one of the key riders for Van Avermaet and said he sees Van Avermaet riding at a winning level this spring. 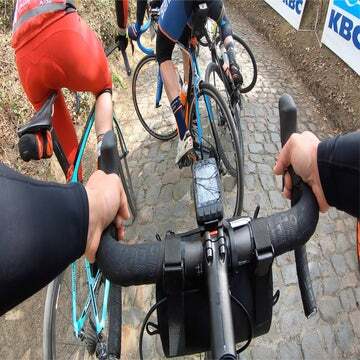 Van Avermaet singled out the usual suspects as his top rivals, saying the collective strength of Deceuninck-Quick-Step, as well as Wout van Aert (Jumbo-Visma), are the top threats. He’s noticed that longtime nemesis Peter Sagan (Bora-Hansgrohe) seems a little off this spring. Van Avermaet said he won’t change his tactic mid-career and vows to go down swinging like he always does. On the eve of his 13th appearance in De Ronde, one thing doesn’t change — his excitement to be a protagonist in one of the biggest days of the season.